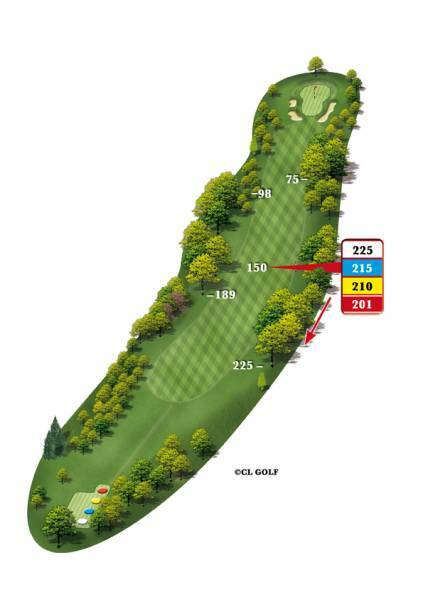 A demanding par four, doglegging left, from the tee shot to the approach, good club selection is vital. It doesn’t always require a driver from the tee. Make sure you take one more club on the approach as it is all carry to avoid the bunkers. It is often better coming in from the right to this green, as bunkers creep in from the left hand side. Out of bounds behind the green if beyond the path.